Gaining Insight from Research at McDs. Back on January 9th I attended the IBM announcement of its group for Watson applications. I tweeted the announcement at @FranzD #IBMWatson. Full announcement here. The Watson group ecosystem site. It had been expected for some time, but I was surprised by its scale. A billion dollars, a location in NYC, a couple of thousand people. Partners in a number of big contexts, like health care. A very big investment. I have some former colleagues there and hope to get an insider 'tour'. At the big enterprise we were not unaware of their progress in this area. In the late 1980s we had our own artificial intelligence / expert systems efforts underway. How do we leverage massive enterprise expertise? While Baby boomers retire? Premature, but producing very real value. At that time we talked to IBM and got the impression that they had made good progress. The science was already there, pioneered by academics at MIT, Stanford and Carnegie Mellon. The science was there but the connection to real computing systems and data had just begun to mature. IBM made that happen in the coming years. Watson provided a demonstration. We waited. So now it seems, based on this investment, that we are ready to proceed. But the midsize company is not an enterprise, and cannot spend millions of dollars promoting these approaches. But these methods, anchored in the cloud, help companies because it can allow access to both the methods and the large and volatile databases required to drive these systems. The systems also need access to unstructured language models (ontologies), volatile big data sets, and publicly available data bases to drive the models that will form the bedrock of any intelligence. Sounds like Big Data. Without this data you cannot leverage intelligence. IBM is setting the stage with this ecosystem. making the right steps to move forward. I look forward to being involved in making this available to the midsized company. I will follow with more impressions in this space as this work evolves. More on Watson in this blog. A discussion of the implication of security on the Internet of Things. If everything is connected, the path to us or our households brings insecurity yet closer. So can we attribute the source of recent attacks? " ... Symantec published a response indicating that IoT devices were not responsible for the spam attack in question, and the machines behind the spam attack were all really just infected Windows boxes. So why is determining the identify of the devices used in this spam attack so difficult? ... "
Connecting the cloud and big data for business. A piece from Pneuron, which I am looking into. I was struck by this statement: " ... Data is more volatile than processing. Programs change but not too frequently. Data is changing or being augmented most of the time. So if we move data, by replication, we also have to take care of the stream of changes to the data. This is more onerous than moving processing, and managing those much less frequent changes. ... "
" ... Wharton professor Maurice E. Schweitzer found quite the opposite in a recent research study. He says that unethical behavior not only can leave no negative emotional reaction but also can, in fact, trigger positive feelings. Schweitzer, along with co-authors Nicole E. Ruedy at the University of Washington Foster School of Business, Celia Moore at the London Business School and Francesca Gino at Harvard Business School, discuss this result in “The Cheater’s High: The Unexpected Affective Benefits of Unethical Behavior,” to be published in the Journal of Personality and Social Psychology. ... "
This CW article led me to the meaning of QA ... " ... Long undervalued, quality assurance is in the limelight -- and QA pros in demand -- following the disaster of the HealthCare.gov website rollout. ... " Quality assurance here is more about development. Our own experiments combined the two elements. Build a key system/process so that when it does fail, even rarely, you can readily bring experts or other resources to keep things running. QA is a combination of design and resources. Charlene Li speaks on the topic, relating to a recent study: " .... Overall, we found that investment in headcount and infrastructure have steadily grown, as companies reach “intermediate” stages of social business. Several are turning their sights from “social media” as an extension of marketing and communications, and seek to push a “social business” agenda throughout the organization. ... "
Thanks to social media and other technology, a wealth of consumer opinions is at a company’s fingertips these days. But Wharton experts say traditional market research still has a vital role to play in product development. ... "
In IEEE Spectrum: The electric grid is already an internet of things. " ... Yet writing applications for these programmable machines is too hard, which blocks the full potential of the smart grid, says Silver Spring Networks. The Silicon Valley-based company this week will introduce software designed simplify the process of programming meters and sensors on the grid and capturing the huge amounts of data they produce. It will launch the software, called the SilverLink Sensor Network, on Monday to coincide with the DistribuTech utility industry conference. ... "
This came up in a recent discussion. It remains an area which is over regulated. " ... Bio-printing human parts will spark ethical, regulatory debate ... 3D printing also threatens intellectual property ... The day when 3D-bioprinted human organs will be readily available is drawing closer, and will result in a complex debate involving a great many political, moral and financial interests. ... "
As the owner and operator of a consulting business I am acutely aware of the need to readily exchange information between people and multiple devices to improve communications. For a long time we were forced to exchange information via email, but as email use has grown, keeping track of all these exchanges became difficult. Also, we need to be able to exchange value and services in discrete quantities to clients. This has led to more software as a service, and also to access to remote, growing and volatile databases used to solve analytic problems. Bottom line, the sharing of data and services in a what is now called a Cloud has become essential for getting business done. Especially for the small to medium sized business. But as part of this growth, the danger of security has become crucial. It is another means to lose data, to give up control, to not be sure of the integrity of what we share. This is not only an issue of keeping our business working, but also has serious regulatory implications in some industries. I was pointed to a Slideshare recently provided by Midmarket IBM that addresses this topic: Staying Secure in the Cloud: Four Tips For Midsize Businesses A short 8 slides that is worth a look for any sized business. The overview is simple. Clouds DELIVER with agility and speed. but opening your system up in this way is by its nature risky. So what do we do? The recommendations come down to key and very straightforward, largely common sense recommendations that help you protect your cloud environment. I think the initial slides, addressing the basic issues, do a good of of setting the stage. Not every mid size business will need to go further. I like the method of positioning a problem simply first. The slide show ends with the ability to download a white paper Integrated IT Security for Midsized Businesses. If you need more information. I continue to follow the process of blogging. Was very late to discover our Cincinnati area local ethnic food super store: Jungle Jim's Food Blog. As a long time amateur chef I find it very interesting and well done. Recipes, images and more. A nice way to engage your customers. It will bring more than a few folks coming back. Keep on blogging. How can you enhance engagement with social media? Proximity to demand and innovative supply ecosystems will trump labor costs as technology transforms operations in the years ahead. ... " . Good look at the underlying concept. Could be a reason that we grew from one innovation center to over 50. An innovation idea chain. In BaselineMag: High performing firms have commitment to advanced technology. Infographic Slideshow. " ... What separates high-performing companies from the rest of the business world? These days, it's often their enterprise-level commitment to technology investments and management, according to recent research from Accenture. The accompanying report, "High Performers in IT: Defined by Digital," reveals that it's becoming increasingly outdated to consider the IT organization as a support function with minimal business input. Instead, elite companies view technology leaders as proven contributors of strategic value. ... "
" ... McDonald’s is a customer-oriented business, and research and consumer insight are our lifeblood,” says Lauren Cody, vice president of business strategy and insight for McDonald’s UK. “It runs right through the heart of our planning process, the development and testing of new products, and the introduction of changes to our operations and customer experience in our restaurants. “Our strategy is built and shaped using a range of research and insight methods; from collating qualitative and quantitative research to garnering insight from unprompted customer feedback and engagement on social media. But overall, we take a 4-Cs approach with the aim of producing insight which encompasses and adds value to all key pillars of our business - customer, competitor, company and (trading) context.” ... "
A 3D printed model of a Neuron. " ... Yale neuroscientist Gordon Shepherd has created the first 3D-printed neuron with help from the Yale Center for Engineering Innovation and Design (CEID). .. " . From Kuzweil. We examined Digimarc's watermarking technology in the innovation center as an alternative to RFID. " ... Digimarc has created an invisible watermark that allows bar-code information to be placed all over a product, making scanning easier and checkout faster. A company team used the technology to set a Guinness World Record for bagging groceries. Digimarc says the technology increases scanning capability by 50% ... " Not sure how widely this has been implemented. In Retailwire: The Starbucks CEO says the shift has happened. How do we deal with it? "No longer are many retailers only required to compete with stores on the other side of the street," said Mr. Schultz. "They are now required to compete with stores on the other side of the country. Navigating the seismic shift will continue to be very, very difficult for me." " ... CPG brands score on mobile's hypertargeted marketing promise ... CPG brands have historically relied on mass marketing tactics with big budgets akin to TV and print advertising that hit the majority of consumers. However, the appeal with mobile is significantly different for CPG marketers around influencing purchases at the point-of-sale, which is causing some to scout out specific demographics of consumers who are increasingly spending more time within mobile applications and sites. .... “Mobile is still the most personal advertising vehicle in the world, and sophisticated brands are really starting to understand that,” said Tim Jenkins, CEO of 4Info, San Mateo, CA.... "
Can a generated infographic act as a useful way to visualize a person's resume? Well enough so that it can be used as a quick way to determine if a person has the right skills and experience to match a job need. The idea is described in TheDrum. An example of such a visual resume is shown to the right. Its a nice idea, but could be taken a few steps further. Just scanning these might be interesting for saving time. But matching them, again visually, to the needs of a task, might be yet more useful. I am further concerned about the measures used, and the general sloppiness about assumptions that are usually used in an 'infographic' Further, how can I make these displays interactive to better show matches between needs and values? Worth a closer look.
" ... Although Google has not elaborated on why it has bought the firm - and on past form it probably won't - two US patents filed by DeepMind Technologies on 16 January offer some clues. Both patents cover intelligent ways to improve the process of "reverse image search", the notion of uploading a picture to a search engine so that it can find similar ones. This is already possible on Google's image search page but it often retrieves amusingly irrelevant images. To improve this, in US patent filing 2014/0019484 , DeepMind engineers Benjamin Coppin and Mustafa Suleyman reveal a different trick: allow the user to input two images, let the algorithm find similarities between them, and then search for those instead. ... "
A view I had not head of, but intriguing: " ... Does a Buyer’s Journey Take Shape as a Funnel? ... Posted by Chris Spears on Nov 14, 2013 in Agency, Content, Marketing ... " . Perhaps a useful metaphor. In Supermarket News (required free registration): New opportunities for richer data sources. " ... Supermarkets are using customer data and digital devices to bring more personalization and convenience to shoppers. Efforts include Ahold USA's Scan It! Mobile application and Safeway's Just For U marketing platform, which send personalized offers to smartphones, and Sprouts Farmers Market's use of customer analytics to track each item purchased, which the company says helps with merchandising and winning back lost customers. ... "
MJ Perry does an excellent job comparing the cost, functionality and power of electronic functions in 1991 vs Today: 1991 Radio Shack ad: 13 electronic products for $5k (and 290 hrs. work) can now be replaced with a $200 iPhone (10 hrs.) Do see the comments, which correctly make the point that there are hidden costs not included in the iPhone analysis. Still, very well done and dramatically shown with the Radio Shack ad. In the CACM: High performance computing (HPC) An overview. From a November conference. HPC is in broad use today, we all gets its benefits everyday. " ... If you drive a car, take medicine, use shampoo, fly in airplanes, watch movies, expect your washer to arrive at your door undented, have a loved one coping with Alzheimer's Disease, use a cellphone, care about the structure and fate of the universe, or worry about providing clean drinking water for the inhabitants of the planet, then your quality of life is directly affected — improved — by HPC. ... ". The Wikipedia has a good overview of the topic. We actively used the method in the enterprise. Recently brought to my attention iTelligence, which has offices nearby. See their blog. Which I am now following for analytics. " ... Outsourcing ... Take advantage of our large support and service organization and focus on your core business – SAP is our core business ... "
Mckinsey on mobilizing your C Suite for big data. Insightful, detailed piece from a management perspective. . " .... Leadership-capacity constraints are undermining many companies’ efforts. New management structures, roles, and divisions of labor can all be part of the solution. Leadership-capacity constraints are undermining many companies’ efforts. New management structures, roles, and divisions of labor can all be part of the solution. ... "
In GigaOM: A look at some surveys on the effects of multitasking. We all do it today, but to what extent. A closer look at the value of focus is important. " .... We are increasingly distracted at work due to frequent electronic notifications and an overwhelming temptation to multitask, especially during meetings. Research reveals there is a high cost to personal and organizational performance. Companies need to provide strategies and tools to improve employee focus and engagement.. " . The WP article on this topic is interesting. From the University of Cincinnati. Work on robots controlled by thought. " ... Brain-computer interface uses electroencephalography (a measure of the brain's electrical activity) to help distinguish which brain signal corresponds with the body's performance of a particular intended action. In these experiments, Shikha Chaganti, a graduate student in computer science advised by Ralescu, specifically targeted brain impulses generated when a person thought about going from a sitting position to standing and vice versa. Computers process this data -- which can be reinforced by combining it with measures of electrical activity in muscle -- in order to detect these brain signals and interpret their intent. The idea is to allow a person to use thought alone to communicate with a computer about the intent to move. ... "
Good piece with examples. by Michele Nemschoff and via Gib Bassett of Teradata. What are companies doing with Hadoop? In my experience most people don't even know what it is. Here good 'non typical' examples' " ... When you hear about Hadoop or Big Data, you probably think of large Internet companies, such as Google or Facebook. However, the use of Hadoop is not limited to large search engines or even Internet marketing. Take a look at seven striking examples of how businesses across many industries are leveraging Hadoop to reach multiple business goals ... "
Evan Schuman writes in CWorld about the fear of Google Glass. " ... Google Glass is just the latest technological advance to elicit fear and dread in some quarters, including law enforcement ... " . I have seen the use of eye tracking and neuromarketing capabilities in retail, where the consumer wore a device over their eye, a backpack containing a computer and a ballcap over their head. These devices were always ignored, the assumption was that this was a medical device. Will the emergence of Google Glass change the assumption, that now the device is a 'frivolous' display and recording device? Have been a long time user and contributor to the design of innovation spaces, this article about office design that contributes to innovation was of interest. I believe that the space should match the space that the innovations are meant to inhabit. Specifically or virtually. It is also best that the environment be easily modifiable to facilitate testing alternatives. Agree that culture trumps design. So what is complexity science and how can it be useful? From the Santa Fe Institute. A long time partner of ours in this space, that helped us navigate its usefulness. On occasion mentioned in this blog. From TDWI: I like looking at this as a business case. " ... What do companies do when they need the power of analytics to be increased with decision support architecture from enterprise data? They built business cases. Here are five business components to address in your own business case.... "
Related to my recent post on NantMobile. Adage Global talks about the Chinese the move forward. Yes, I am seeing it. Can the data gathered be used to understand an entire region? In China, the world's biggest smartphone market, mobile commerce and payments are heating up fast. When e-commerce giant Alibaba sold $5.7 billion in goods during its annual 24-hour megasale Nov. 11, 2013, 21% of orders came from mobile devices. A year earlier, that figure was only 5%. ... "
In CACM: More on this interesting topic. " ... In this article, we review the progress that has been made in developing architectures for full-scale quantum computers. We highlight the process of integrating the basic elements that have already been developed, and introduce the challenges that remain in delivering on the promise of quantum computing. ..."
In the Cisco Blog: (Which I have found to be very informative). Remember the hacked refrigerator.
" ... The SANS Institute just completed a survey on the security viewpoints on IoT, predominantly with security and IT professionals. 78% of respondents were unsure of the capabilities for basic visibility and management of Things they will need to secure or lack the capability to secure them. It seems that, like BYOD, IoT is driven with minimal IT consultation. And it happens with security as an afterthought, with 46% who do not have a policy to drive the visibility and management of IoT devices. ... "
Google adds sources to search results, via its Knowledge Graph. A suggestion in the piece suggests that a better solution would be a reliability score based on consumer reviews. But would every source be reliably reviewed? Innovating faster. And focusing your innovation to value. Part of that task is to be able to evaluate innovations in context, as quickly and accurately as possible. Simulation and analytics are good tools to address this problem. Several years ago I worked on a project meant to focus key data about operations to firefighters. A kind of augmented reality for a highly dynamic task. Now a look at how Google glass could be used for this context. Though considerable work has to be done to harden and focus the interface of Google Glass to make it work in that difficult environment. A new report debunks the notion that brand defines a product in consumers’ eyes across its entire life cycle. ... Contemporary marketing thinking suggests that a brand somehow defines the product. The modern discipline of brand management encourages this view by organizing firms into brand teams designed to manage strongly branded portfolio. ... "
In Computing Now: A snapshot of current trends in visualization.
" ... For this issue of Computing Now, we gathered a set of articles that exemplifies current trends in computer-generated visualization. The field of visualization was benchmarked in 1987 with a landmark report, entitled "Visualization in Scientific Computing," which was prepared by the (US) National Science Foundation (NSF) Panel on Graphics, Image Processing, and Workstations. That report set out the vision for developing visualization as a scientific field. Over the past 25 years, the field has expanded to encompass three major subfields — namely, scientific visualization, information visualization, and visual analytics — as well as many domain-specific areas, such as geo-information visualization, biological data visualization, and software visualization. The five articles featured in this issue of Computing Now represent the best visualization research in recent years. Some demonstrate visualization's significant role as a ubiquitous technology that impacts nearly every walk of life. Others reflect the current and emerging trends in visualization and its subfields. ... "
If Nissan Motors has its way, there will be no auto accidents involving the Japanese company’s vehicles by the year 2050. At Toyota Motors, a similar initiative has the eventual goal of achieving “zero casualties from traffic accidents.” In the years ahead, those companies – along with other major automakers in Asia, North America and Europe — will be rolling out more and more vehicles that promise to do no harm to the environment – because they are battery-powered – or little or no harm to their occupants and pedestrians because they are loaded with safety features developed in the disruptive world of digital high-technology. What are some of these technologies, and how are they being introduced into the tightly integrated systems of the automotive sector? What fundamental challenges are involved in achieving a smooth process of integration? These questions, critical for the future of the automotive sector, were discussed recently at the Mack Institute Fall Conference 2013, whose theme was: “When Disruptive Technologies Meet Integrated Systems: Who Captures the Value?” ... "
" ... AcuPOLL® was created by Procter & Gamble brand management veterans and technologists in 1991 to solve a major problem – the cost and delay of market research was a huge barrier to innovation success. And innovation is the lifeblood of companies and the employees and communities that depend on them. ... "
" ... Our focus is "greater clarity, better decisions" helping clients increase success in new product and major marketing initiatives. I think the two things we most pride ourselves on is 1) we work to help clients better understand the strengths of their ideas, using one of the largest initiative database in the world (nearly 50,000), who likes them, and what drives them, giving them more in-depth understanding than the industry, and 2) our unique AcuPOLL Live! qual/quant approaches we talked about, with our Predictive Qualitative™methodology which grew 80% last year and helps develop stronger initiatives, faster. See http://www.acupoll.com/live-sessions.htm and http://www.acupoll.com/acupoll-optimization.htm for our methodologies and http://www.acupoll.com/accupol-results.htm for results. ... "
I rarely read beginning of the year top ten or efficiency hints, but this is deserves a look. I am in the midst of several decision processes that need people to follow through. How do we ensure that, for ourselves and for other people involved? In the Penn Gazette. About an anatomist of crimes. Could we do something similar when we look at decisions? After Action Reviews are one approach we tested, but now with more data could we better link decisions to outcomes? In IEEE Spectrum. I recall seeing these proposed for conferences, but never saw one in operation. We examined something similar for warehouse inventory. Appears very cheap ... but would it work well? How could it be used in the retail aisle?
" 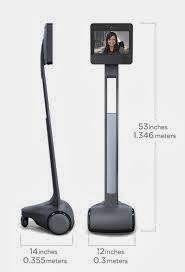 .... At the Consumer Electronics Show earlier this month, IEEE Spectrum got a peek at the newest telepresence robot from Silicon Valley robotics startup Suitable Technologies. It's called the Beam+, and while it does just about everything that the original Beam can do, the new Beam+ wasn't created for offices or conference settings—it's designed to be used at home. A person who's away from home or lives far away can remotely connect to the robot, drive it around, see what it sees, and talk and interact with family and friends. Suitable is offering the first thousand Beam+ robots for US $995, with units expected to start shipping in the middle of this year. Would you use a telepresence robot at home? ... "
I actively use Twitter and Google+. On Twitter I am @FranzD. Have been on Twitter since almost its conception. Selectively, some of the posts in this blog are pointed to on my active social feeds. Sometimes they result in conversations there. Feel free to follow and connect with me there. I had heard of the startup Knack. The HBR discusses the process of evaluating the game of life. And evaluate how you play this game. Is this useful mostly for HR, or for self evaluation during your career? Can it be adapted for different roles or industries? This is being called ' Talent Analytics', had not heard the term itself, but we used statistics actively to understand HR decisions. The article contains a long and interesting discussion. Also note it is an excellent example of gamification and simulation. Both topics frequently covered here. Integrate your contexts, both on you and around you. I like the idea of having an all over aumentation as required. This blog covers related topics. Via Metaio. Have had a number of interesting communications from academics working the industrial edge recently. Here on the Industrial net of things. Via GE, includes a number of good videos on the topic. The day will kick off with a networking breakfast where attendees will get to meet fellow analytics professionals as well as master's students from the University of Cincinnati programs in Information Systems and Business Analytics. Our ​keynote ​speaker ​ will ​be ​John ​Elder, ​PhD, ​of ​Elder ​Research, ​Inc. ​Dr. ​Elder ​is ​an ​international ​ expert ​and author on ​data ​mining ​as well as ​a ​well-known ​speaker ​on ​this ​subject. In addition to our keynote speaker, we will also have presentations from other leading experts on data mining. Nick Street, PhD, Professor and Department Executive Officer of the Management Sciences Department at the University of Iowa, will discuss data mining applications in healthcare. Randy Collica, Sr. Solutions Architect at SAS, will present on using text analytics to determine customers' future monetary values and future risk. You may choose to attend only the morning sessions (including breakfast, keynote and other presentations plus lunch) or the morning plus afternoon sessions which also gives you access to the data mining software demonstrations where you will be able to choose two of three sessions offered by SAS Enterprise Miner, RapidMiner and Frontline System's XLMiner (limited number of seats available in each session). A survey from the gamification summit. Some interesting, but not detailed examples. I would not have expected the examples to be very different by region. I had the impression that the industry had quieted down, but ... " ... Regardless of exactly where each market lies, the opportunities have never been greater. Even in the US, gamification projects are only now really moving from test to recurring program with some regularity. In the rest of the world, the option to bring gamification to the table as a core part of the customer and employee engagement plan will create many new champions, embolden existing winners, and boost the fortunes of tens of thousands of individuals who will move our industry forward. ... "
In Tableau Public: An example of using interactive data visualization to understand expanding markets. Nicely and simply done. Would be interesting to further add a number of narrower industry specific measures. We used simulations to develop micro behavior within markets. " ... This global dashboard by Franklin Templeton allows you to explore 23 years of GDP change for various countries and regions around the world. Use the Regions filter to focus on specific country groups, change the timeline by using the slider in the center, and hover over each country to get more details ... "
" ... NantMobile’s core product, iD Browser, is a mobile recognition platform that allows people to browse the physical world around them, unlocking digital experiences, coupons, content and information from featured brands that they know, like and trust. Today consumers are limited to browsing the web. Why should we limit them? Imagine if consumers could browse the world, any time, any place, unlocking the physical world with digital content related to your brand. Now the physical world is browsable. With your mobile device, the iD Browser, and our patented recognition technology, we are transforming the world wide web into the web enabled world. Get your branded presence up and running on the iD Browser today.NantMobile’s core product, iD Browser, is a mobile recognition platform that allows people to browse the physical world around them, unlocking digital experiences, coupons, content and information from featured brands that they know, like and trust. ... "
In TechCrunch, a quick look at Amazon's patent, and implementation of what is being called 'anticipatory sales'. Or shipping before you choose to buy. While this is seen as madness in the press, in a general sense it is used in many supply chain models. Which seek to stage shipments to make them most efficient. Such models consider both shipments and the returns. So its not quite like reading your mind. Consumers will not be be getting completely unanticipated shipments from Amazon. Also note that the concept of 'big data' allows this to be done at more complex and smaller levels of detail. New book just brought to my attention. " ... Experience Design also serves as a reference tool for both designers and business leaders to help teams collaborate more effectively and to help keep focus on the quality of the experiences that are put in front of customers. ... "
A discussion with a nurse last week about health recording devices was interesting. Will the device of the future allow you to just wave it across the body to determine its state of health? The device we were using had one problem: It kept running out of printer paper. The nurses there were concerned with keeping the paper from jamming. My, how archaic. Yet there are suggestions we are getting closer to the tricorder reality. 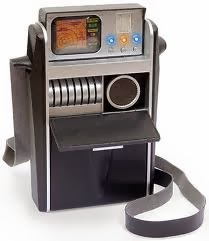 At the right an image of the fictional tricorder. In Innovation Excellence: On the topic of deeper learning. References a video and a MOOC course to launch soon. worth a further look. Not the same thing as the machine learning concept called deep learning. Was introduced to Agile methods last year. I like the approach, but not convinced of its generality. Connecting it to BI methods is worth a look. Requires registration for full article. A good example of CPG delivery, here what we called late stage differentiation, a place where 3D printing can work. It can work even better when customers can watch the process. Manufacturing as performance art? Hershey Co. is collaborating with 3D Systems to develop a 3D printer that makes chocolate and other edible products. "Whether it is creating a whole new form of candy or developing a new way to produce it, we embrace new technologies such as 3D printing as a way to keep moving our timeless confectionery treats into the future," said William Papa, Hershey's vice president and chief research and development officer. 3D Systems recently unveiled two 3D printers for edible sugar and chocolate at the International Consumer Electronics Show. ... "
This reminds me of Jiminy Chips in store preparation and vending, an approach we looked at in 2008. Received from the Kahn Academy. " ... The math of renting vs. buying a home. Challenging the notion that it is always better to buy. ... ". Nicely done example of how the Kahn Academy works by providing short snippets of knowledge on useful topics. See also the comments, which have some good challenges to the assumptions. On any analytical method it's always good to repeatedly review the assumptions with topic, data experts and stake holders. I am always intrigued by innovation labs. Do they work? Certainly you do NOT need a place to innovate, it should be done anywhere, at all times. But a place does make it easier to combine and then test innovations in the right context. And show them to the right people. Here another example. By a company that knows how to innovate. See other examples, including ours. In Engadget: Reminds me of work done a number of times with virtual makeover. And related work directing complex maintenance tasks. " ... The hair care giant (and purveyor of giant hair) just announced Matrix Class for Glass, which gives clients and beauty school students a stylists-eye view of your head. The three-part program includes a video series of in-depth beauty tutorials shot with Google's wearable; Matrix Eye for Style, an "exclusive" salon experience provided by George Papanikolas, who will record sessions with the headset; and a series of lessons for beauty professionals given by be-Glassed hair care superstars. ... "
In Wired: More indication that Google is very interested in the topic. Hiring Geoff Hinton. He was a person we watched closely during our long exploration of the use of neural nets for learning. Was unaware of some of the background provided here. How will we achieve deep learning? The intent: " ... Where will this next generation of researchers take the deep learning movement? The big potential lies in deciphering the words we post to the web — the status updates and the tweets and instant messages and the comments — and there’s enough of that to keep companies like Facebook, Google, and Yahoo busy for an awfully long time. The aim to give these services the power to actually understand what their users are saying — without help from other humans. “We want to take AI and CIFAR to wonderful new places,” Hinton says, “where no person, no student, no program has gone before.” ... "
In CWorld: Can the use of 3D printing be generalized for many purposes? Will we ultimately insert 3D manufacturing options into supply chain designs for many kinds of products? Would be quite a triumph. Computerworld - One day a 3D printer, using a mix of materials, will be able to create body armor for U.S. soldiers that is more lightweight and stronger than anything could be made with traditional manufacturing and materials today. ... "
An interview in HBR with Salman Kahn, founder of the Kahn Academy. Just have started to dive in. " ... Salman Khan was working as a hedge fund analyst when he started using online tools to tutor his cousins in math. Nine years later, his nonprofit organization, Khan Academy, draws on the same approach to offer more than 5,000 free, web-based video lessons to millions of students across the globe, disrupting not only schools but also the education industry built around them. ... "
Will 2014 be the Year that online grocery will Leap forward? Are Amazon Fresh and Pantry be our future? Is it scale able and cost efficient? Bloomberg Business Week takes a look. On decision making in the HBR: Is about risk and behavior. " ... The next time you are thinking through a big-stakes decision ask yourself: “What happens first thing Monday morning? What behaviors will have to change?” Big-stakes decisions are just that — big. When they go awry, it is typically because the organization has fallen victim to one or more of these failures. Avoiding them won’t guarantee you success — but it will greatly increase the chance of a better decision. .... "
And in Mashable: Why deal with glasses when you can build the information right onto the eye? " ... Google's new smart contact lens project that acts as a non-invasive glucose monitor could be a godsend to the millions of sufferers of Type I diabetes. For non-diabetics, the lenses could portend an idealized version of our wearable future. ... Google announced its work on the smart contact lens on its official blog late Thursday. The project is being developed at Google X, the secret laboratory that has also incubated projects such as Google's self-driving car and Google Glass. ... "
I like the idea of small. Nanotechnology is a good example. How about using small models for gathering energy? Here proposed for charging smartphones. Not sure if this is practical, but it bears looking at as a model. Been fascinated by the growth of serious professional networks. They continue to grow. Even though my perceptions are that they are getting too complicated for incidental use and can get in the way of work. In discussions with several people they remark that it takes too much time to use and engage. The Internet of Things will provide new sources of data from a increasing number of devices. The Smart Home will be a particular source of connectivity for the consumer. But will this same connectivity open us to new security issues? Suppose that you were attacked by your own refrigerator? It's happening already. 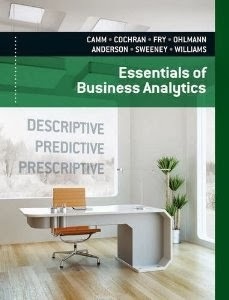 In ComputerWorld: What looks to be a very good set of documents and links for using the data analytics language R. Continuing to establish itself as the language of analytics research and development. For both the beginner and the practitioner. Books, online and video resources. Worth bookmarking. From Metaio. Here using the example of a museum tour. An excellent example of the use of augmented reality. Combining physical and artificial spaces to provide real time information. We all do it today, using our smart phones to get information as we shop. But AR takes it a step further, connecting spatial and location information to the mix. Like when you are walking the halls of a museum, or the aisles of a retail store. Looking at the Electronic nose again. We were primarily interested in detecting engaging aromas in coffee. Now In Knowledge @ Wharton: " ... Samuel M. Khamis, the CEO of a new tech start-up, is building a chip that can be embedded in your smartphone and will be able to smell your breath. With just a whiff, the “electric nose” sensor, which Khamis is developing at Adamant Technologies, can provide information about a person’s current metabolic state and detail how many calories he or she is burning in real time. ... " . Positioned as the 'Future of Mobile Health'. See also Adamant Technologies site. See also related Time Mag article (registration required). Continue to make my way through this new text. Which seeks to position the three kinds of analytics: Descriptive, Predictive and Prescriptive. As I have preached many times in writing and talks. It always makes sense to proceed in that order. First simply look at the data in alternate forms and devise new ways to describe it. Sometimes that alone can solve your problem. Then seek pattern in your data to find the best opportunities for improvement. That too can often be a place to stop and immediately derive value from your exploration. An then, take your discoveries and insert them directly into your decision process to provide ongoing value. I have been making my way through parts of this book, a great resource both at the overview and technical detail level. Impressed by the book covering so much of this journey. It looks at the descriptive and proceeds to depth. It covers the simplest numerical methods and leads to methods learned in graduate school that we used to call 'operations research'. It covers a wide variety of current software methods, from spreadsheet packages to advanced solvers. And many detailed visualizations. It addresses a wide variety of application areas. An early section describes applications, some surprising. No matter what your area of application is, you will find inspiration here. Useful for managers, practitioners and students at different levels. One criticism, the topic of Big Data seems somewhat reluctantly brought in. It has a natural connection to the topic, that could be further developed. Still, an excellent text to browse and learn from. I have a half dozen topics bookmarked already. Disclosure: Some of my work is briefly mentioned in the book, starting a the bottom of page 7. Contact me to discuss particulars. If you have been following some recent advances in thinking about cognition: " ... Charles Young examines what we can learn about measuring ad effectiveness by applying Daniel Kahneman’s System 1 and System 2 theory of cognition. ... " via Jeff Goldstein of AcuPoll. The latest issue of the always useful Analytics Magazine is now available. 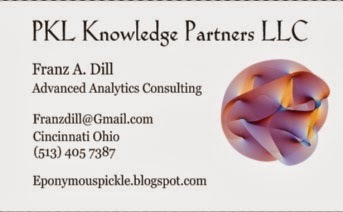 Cover articles include analytics careers and consulting. Good spread of detail and strategic topics. " ... The January/February issue of Analytics is ready! ... Articles in this issue include how to effectively deliver ROI solutions using the cloud, eighteen things nobody tells you about analytics consulting, how to apply predictive analytics to address healthcare issues, and the missing values in analytics. ... The issue also includes a special supplement featuring the Certified Analytics Professional candidate handbook and a usage guide that answers key questions about the CAP® program. ... "
We actively experimented with smart home systems, solutions and configuration. 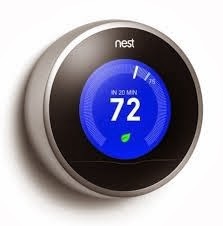 Google's investment in the Nest thermostat indicates a big investment in a key part of the home environment. This article has more thoughts about where they are going with this move. And what are the privacy implications for Google reaching out and knowing the status of things in your real world?
" ... The surprise deal announced earlier this week will provide Google Inc. with more tools to build a valuable hub for homes. It's a world of network-tethered toasters and tea kettles, or a so-called "Internet of Things," that is destined to reshape society, experts say, in the same way that smartphones have done in the seven years since Apple Inc. unveiled the iPhone. .... "
Bias, or what we often saw: 'confirmation bias' is a key danger in any kind of research or decision process. This is particularly important in less defined strategy decisions. In the HBR Blog. An obvious, but not always easy to follow thought: " ... When making important strategic decisions, which are going to decide our faiths and those of our organizations, it is important to not let emotions and personal preferences cloud our judgment. Emotional commitment can be good, but not if it gets in the way of sound decision-making. Depersonalizing decisionmaking can sound cold or aloof, but it’s the best way to ensure a better outcome, for ourselves and our companies. ... "
Scoping the fate of the PC. They seem to be morphing into the tablet. What aspects of devices are true requirements? In the Future of the CIO: Future From a Mechanical to Sociological System. Is this a digital shift? An academic view. A relatively non technical article in the WSJ on the state of Quantum computing, An interview about what it is, what it might be good for, and where it may be going. In particular the implications for cryptography are significant, thus the interest of the NSA. Gartner says it will grow 30 time to 26 billion by 2020. My guess that it will grow even larger, as more devices, some that we were not expecting, come online. Vehicles, and their individual components, are a growing example.
" ... Many smartphone owners don't think it's safe to shop using their mobile devices, so businesses need to do a better job of educating them about security measures. Many people are comfortable shopping online from their desktop or laptop computer, but security concerns can deter them from shopping with a mobile device, according to a recent survey. The problem is twofold: Businesses need to better educate consumers about the security measures in place to protect them, and smartphone owners need to use more security technology on their mobile devices. ... "
In Innovation Excellence: A kind of designer vs analytics argument that is interesting. We dealt with this when we added a design function. But like in this area a good hybrid of the two is most valuable. You should always be adding measurement with numbers to your design, and once you have numbers you should use the right numerical tools to manipulate them. Back when I was giving talks at our innovation centers, the most frequently mentioned media was the move 'Minority Report'. Then just out and portraying an advertising laced media world. And that was just when smartphones had started to emerge. Now it's a new day and the movie Her portrays a world where the user interface has dissolved into everyday life. Here is the movie trailer. How much is this movie likely to influence how we interact with computers in the future? Adding lots of personal information and emotion laden interaction? Will see it shortly. Wired Discusses. Good overview of the topic. Examples like 'word clouds' are typical. And semantic nets that we used to represent the interaction between terms. Concept maps can also be loaded with information based on semantic extracts of text databases. Remember, too, that unstructured is more than just text. It can,for example, include images and audio data. Also, unstructured data includes tags and related structured data. Or geographic tags. So it is usually semi-structured when it is finally leveraged. In Ara Technica: Fairly obvious that many things will be connected wirelessly. A home or business is an aggregation of things that need to be connected to joint sensors and resources. " .... Whether it’s the Connected Home or the Internet of Things, many everyday home appliances and devices will soon feature some form of Internet connectivity. What form should that connectivity take? We sat down with Edgar Figueroa, President and CEO of the Wi-Fi Alliance, to discuss his belief that Wi-Fi is the clear choice. ... "
" ... The New Technology that can give you a Virtual keyboard, a mouse, or a gesture sensitive device to be used for wearable computing .... More details here on this. and their open API. We are now entering a new era in computing. Some call it ubiquitous computing, others call it augmented reality or wearable computing. We have in the last decades seen major changes. ... In the old days we had terminals, then came the personal computer, later laptops that made us more free. The tablets, smart phones etc gave us even more freedom, but they have small screens and very small keyboards. With the coming displays like Google glasses and Oculus Rift you have a new type of screen – it can in the future give you an enormous big screen but the device will remain small. The Virtual keyboard can be the input device for wearable computing. It gives you a keyboard, a 2-D mouse, a 3-D mouse or better a gesture device. . ... "
Crucially its about how to set up, evolve and utilize our networks. What can a network learn that an individual cannot? We asked this question because we believe that society is on the verge of an unprecedented era of learning. Humanity has always been hard-wired to accumulate knowledge, but while there have been pockets of accelerated learning over the course of history, nothing can compare to the potential of digital networks (both social and business) combined with data analytics. “In my mind, the answer is just about anything,” says @danb. “In my most optimistic moments, I’m convinced that everything is knowable, provided we can collect and analyze the right data. But the human mind is not powerful enough to sift through the countless variables. Heck, I can’t even remember where I put my wallet half the time. So what can a network learn? How about predicting the future?” .... "
Facebook joins NYU for AI Lab. They certainly have a lot of social data. Part of a new push towards practical, Big Data oriented AI. IBM's Watson is another example. " .... Facebook unveiled plans Monday on a partnership with New York University for a new center for artificial intelligence, aimed at harnessing the huge social network's massive trove of data. ... " Part of the NYU Center for Data Science. IBM Watson Analytics removes common impediments in the data discovery process, enabling business users to quickly and independently uncover new insights in their data. Guided by sophisticated analytics and a natural language interface, Watson Analytics automatically prepares the data, surfaces the most important relationships and presents the results in an easy to interpret interactive visual format. ... "
Now an App from the prolific Augmented Pixels company. Think of these applications as mixing real life contexts and digital contexts. Note some similarities to the AR applications included in the IKEA catalogs. Will be testing. See other App delivered augmented reality applications by Augmented Pixels.
" ... What is ShowInRoom about? This January Augmented Pixels announces a release of a mobile solution for the furniture retail called ShowInRoom that enables virtual furniture showcasing in any place using Augmented Reality. ... See the video: The app is free and available for iPad. The furniture catalog is being updated with more brands. In Wired: The more complex, large and volatile a database is, the more important it is to understand it first with visualization. As I often preach: The first thing you should do with your data is to look at it, and then interactively manipulate it. Today we have the means to do this with a number of good packages. After you do that, use advanced pattern matching techniques to investigate it further. Often these methods will lead you back to the visualization techniques to verify their application. Devices are already shaping our behavior in real time, but not always to our advantage. Experientia makes the claim that this is a frontier of design. Sensors, analytics and signals make this all possible. We have all seen it, in ourselves and others. The rational economic model can quickly fall apart. A discussion of how to promote to promotion crazy consumer in RetailWire. Is this also part of the effect we see when we know we can always have the option of a promotion on our always ready mobile device? Internet influence on storytelling. Not really about technology, but how it influences how we write. In the NYT. In the Cisco Blog. Virtualizing the desktop. Desktop as a service, DaaS. Interesting idea I had not thought much about. My desktop has become increasingly complex with changes in operating system, multiple databases, machine interactions and client interaction. I need to have ways to make this simpler. As marketers look to leverage digital innovation to reach consumers, collaboration often plays a role as partners work together to achieve success. In this video from the 2013 Consumer Goods Business & Technology Leadership Conference, CIO Jerry Wolfe and Digital Marketing Manager Colleen McClellan of McCormick discuss one such collaborative initiative – FlavorPrint, a new technology that helps consumers discover flavorful foods they'll love based on their flavor profile .... "
During the session, Wolfe and McLellan explore how multiple internal cross functional teams at McCormick, from marketing to IT to sensory scientists, joined forces on the FlavorPrint project. Additionally, they discuss how McCormick worked with its external agency and retail partners to deliver this unprecedented service. ... "
This has similarities to work we did to determine and model taste preference profiles for coffee blends. Previously in this blog about delivering Flavorprint. View Video in Consumer Goods Technology. Also see McCormick's Flavorprint Site. In MIT Technology Review: Out of the CES conference. About Audi's compact brain for a self driving car. A car driving in a physical world and driving an information highway as part of an internet of things. Communications of the ACM, quoting a WSJ article: " ... The technology itself may not be as challenging as the emerging social, ethical, and economic issues, says Carnegie Mellon University (CMU) professor Illah R. Nourbakhsh, whose new book, "Robot Futures," discusses a future in which people share the planet with superhuman robots. "I think we need a serious public discussion...about the relationship between people and robots, which is like a new species that we are inventing," Nourbakhsh says. ... " Founder of the CREATE Lab at CMU. An idea that has been around for some time, but have yet to see it implemented usefully, is this the future? Is this wearable, or too intrusive." ... Avegant, a company whose website tells you it is “developing the next generation of wearable devices,” knows what that means. The company’s new “virtual retinal display,” called the Glyph, dispenses with screens altogether. Instead, it uses “a combination of optics to reflect an image directly onto your retina, effectively using the back of your eyeball as a screen,” according to Avegant. ... "
Thoughts on emotion and decision making... Is memory implicit?
" ... The relatively new field of neuromarketing and the role emotions play in the decision-making process emerged as a popular source of enquiry for Warc readers in 2013. Neuromarketing expert Thom Noble's focus on neuroscience in practice, originally published in Admap, was by far the most-read article on this subject. His paper looked at the methods currently in day-to-day use for measuring non-articulated or pre-conscious consumer response and assessed the three main techniques according to their pros and cons, their usage and costs. ... "
Good newsletter from Tableau Software. Smarter and more personalized promotions in what are being called 'presence zones' in retail. In Forbes. Will this transform the in-store experience? Or clutter it further? In the early days of social media I remember this discussion about how broad one should cast their social network. A number like 40 people in their network was suggested. Lately, though, there did not seem any natural limit in place. This article from Oxford University appears to say it occurs naturally. " ... Despite the way that mobile technologies and social networking sites have made it easier to stay in touch with large numbers of acquaintances, a new study has shown that people still put most of their efforts into communicating with small numbers of close friends or relatives. We often operate unconscious one-in, one-out policies so that communication patterns remain the same even when friendships change. ... "
In RetailWire: Are shoppers tuning out in-store media? Yes, they always have. We tested a number of options in this area and the biggest issue was not hearing the message at all, no matter how well it was designed. A good example where simulating concepts and contexts can be a good testing method. Where is Social TV Headed? The direction of social TV. This has been much discussed, but seems to have gone nowhere. A look back and predictions: " ... As we wrap up 2013, it looks like social TV is being pushed to its tipping point. Not only are we starting to find hard evidence proving the powerful return on investment of second-screen and social TV, we're seeing real-time insights into what viewers are actually watching. Let's take a quick look back at some key moments in 2013 and see if we can divine what 2014 will have in store. ... "
From Bain & Co: Summary article with links to other coverage, based on their study. Well put. " ... Samsung uses it to power the content recommendation engine on its newest smart TVs. Progressive Insurance relies on it to capture driving behavior, determine customer risk profiles and decide on competitive pricing. LexisNexis Risk Solutions uses it to identify individuals, including family relationships, thus helping financial institutions and other clients reduce fraud. .... "
More out of Intel's innovation systems. " ... Intel unveils series of wearable devices, including a smartwatch and fitness-tracking earbuds ... Intel wants to “make everything smart” — and it’s focusing on wearable devices at CES 2014. “Wearables are not everywhere today because they aren’t yet solving real problems and they aren’t yet integrated with our lifestyles,” CEO Brian Krzanich says, and explains that Intel is out to change that. ... "
In Retailwire: Another example of iBeacon in test. " .... Apple's iBeacon technology has made its way to the grocery store, and one company, inMarket, claims the technology will vastly improve the shopping experience for shoppers in Cleveland (Giant Eagle), San Francisco and Seattle (Safeway) where it is initially being launched. ... "
In Forbes: Something we dealt with frequently. In a large enterprise it is necessary to set standards. But less easy to enforce standards broadly. Exceptions are often made for what seemed like legitimate reasons. We were often left with many examples of alternate software dealing with a many solutions dealing with single classes of problems. That often led to huge expenses later on. The shadows of these choices are often long ones. In Junk Charts: I am a believer in visualization. Some of the most beautiful charts are those that represent patterns in big data. But Big data and powerful software can entice us to add too many details. Remember that visualization should be a means to interactively simplify the understanding of data, not obscure it. Good example in the link. In Mashable: The article looks closely at the common approach of A/B testing, but not really how this can be done in near real-time. Increasingly important in a realm of better real time sensors to detect human behavior under varying situations. I would like to see this carried further.
" ... Apple’s location-sensing iBeacon technology appears to be of growing interest to retailers and app developers, with mobile shopping startup inMarket the latest company to announce it’s making use of the tech. “Besides Apple themselves, we are the first to take this groundbreaking technology out of beta tests and into consumers’ lives throughout the heartland of the US,” Todd Dipaola, CEO and co-founder of inMarket, said in a release. ... "
Ahold has always been an innovator. We worked with them on a number of supply chain and in-store applications. Here on e-Commerce.
" ... Ahold USA had 120 pickup locations for online ordering last year, up from eight in 2012. The company says it hopes to boost e-commerce and triple online food sales by 2016 by adding pickup spots and opening Peapod Propulsion Labs, a digital-innovation center in Chicago. "There is healthy competition for online talent, and we want to attract that talent to fuel our ambitious growth plans," said Jan Van Dam, executive vice president of e-commerce and supply chain ... "
I intend to listen in on this and report on it here. The movement of Watson to drive the AI promise of the late 1980s continues to march on. You have been selected to join us for a live broadcast of an IBM Watson special event Thursday, January 9, 2014 at 9:30 am ET on IBM's LinkedIn company page to learn firsthand about the next chapter in Watson's evolution. You will hear from IBM's senior leaders about significant new actions IBM is taking to help organizations transform and meet the needs of today's changing marketplace. They will be joined by clients, partners and visionaries, who will share how Watson has been put to work across industries and is helping individuals, enterprises and society achieve better outcomes. 2. Dive into the digital experience: Visit http://www.ibmwatson.com on Thursday, January 9th to get additional information on the announcement that you can include in your write-ups and share with your networks. 3. Participate on Twitter: Use #IBMWatson in your tweets and follow that hashtag for live coverage and conversation related to the January 9th event. 5. Experience the IBM Tumblr: Check out the IBMblr at http://ibmblr.tumblr.com/ on January 9th for more shareable information about the announcement. If you have any questions, please contact me at winterkm@us.ibm.com.